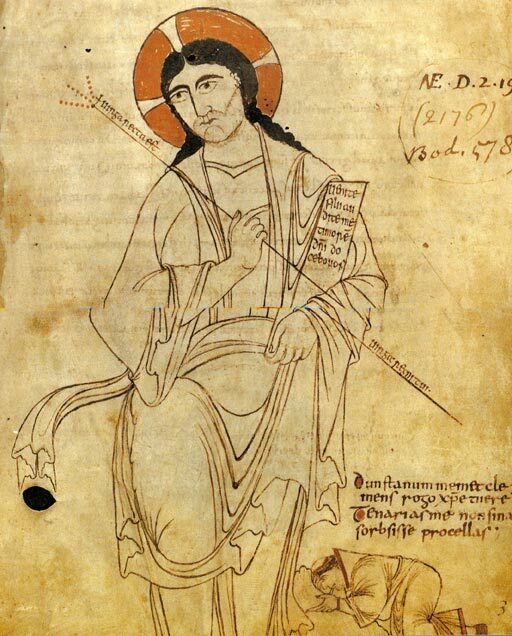 “St Dunstan praying before Christ”, from the Glastonbury Classbook (10th century). The kneeling monk in the lower right is believed to be a self-portrait by Dunstan, who was a famous illustrator. From Wikipedia.